Aubergine Jubilee Velvet Curtains - Set of 2, 50x84? Closeout. 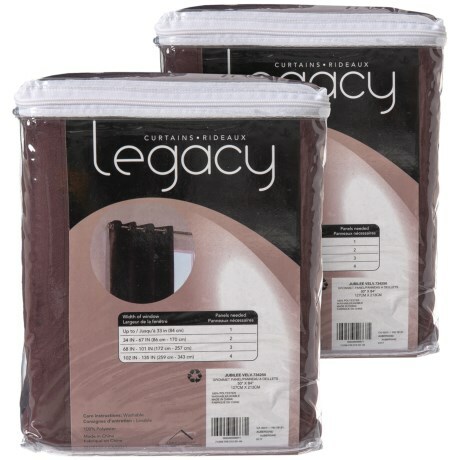 Legacyand#39;s Jubilee velvet curtains add understated elegance and a luxe touch to your living or sleeping space. Available Colors: AUBERGINE.